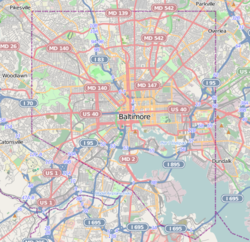 ^ a b "Old Town neighborhood in Baltimore, Maryland (MD), 21202 subdivision profile - real estate, apartments, condos, homes, community, population, jobs, income, streets". www.city-data.com/. City-data. Retrieved 24 October 2014. ^ a b "Old Town - Baltimore InnerSpace". baltimoreinnerspace.blogspot.com. Baltimore InnerSpace. Retrieved 24 October 2014. ^ "Old Town Mall". Baltimore Heritage. 2016-02-04. Retrieved 2016-07-27.